It makes sense to do business with a pharmacy that reinvests it’s time and money back into your hometown. This concept at AuBurn Pharmacy in Abilene Kansas is simple; we are staying true to our original focus of providing quality patient care at affordable prices with a community pharmacy atmosphere. 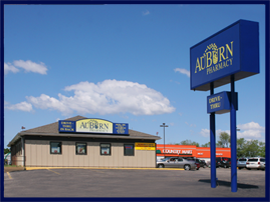 It is a true community pharmacy that is located near The Country Mart Grocery Store. "Buckeye is caring for the health of you and your community"
5 visitors like this page!